The BMW 2-Series is a new model that debuted last year to replace the 1-Series coupe and convertible. It’s a compact offering that appeals to those who require the best but don’t necessarily need a huge vehicle. Now, the M2 will help fill the void for those who want all of the above, plus the ability to head to the track and floor it. The BMW M2 has been spotted all over the place by avid fans, and at first glance it looks simply breathtaking. Although no firm details have been released regarding the car’s specifications, the M2 will likely be powered by a twin-turbocharged N55 engine capable of producing horsepower in the ballpark of 360 – 380. If this is the case, this will be one nimble little car, and we hope that someday soon we will get to test it out in person. 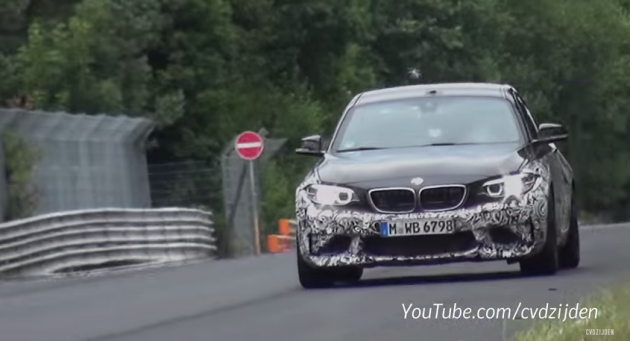 Stay tuned for more on the BMW M2, which is hopefully getting close to production as we speak!